Added on July 1, 2014 by valerie dalling. In my last blog I introduced three cameras which are currently in my life, when actually there are four. How could I forget my phone, it’s with me 24/7 and I’m sure many of you will understand when I say I’d be completely lost without it. So to make amends all the photographs in this post are taken with the phone, well two phones actually as you will see. 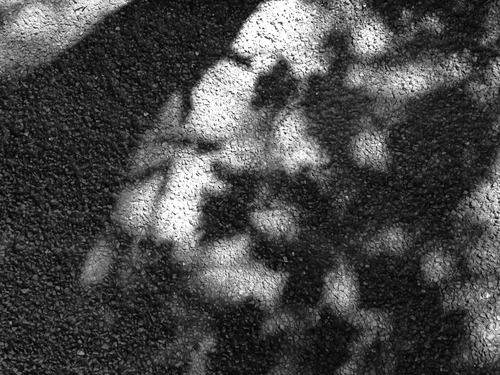 We began our day photographing leafy shadows on our way up to Studio 61 Gallery Holloway, for the launch of ‘Trip Out West’ an exhibition of beautiful landscape paintings by the very talented Ruth Gray Artist, who was inspired following her recent trip to Snowdonia. It was a lovely arty morning catching up with gallery owner Karina Goodman, Ruth and Michelle Pearson (all fabulous artists I must say), but because I had coffee in one hand and a very nice crumbly cookie in the other my phone spent the next half an hour in my bag saving on battery! 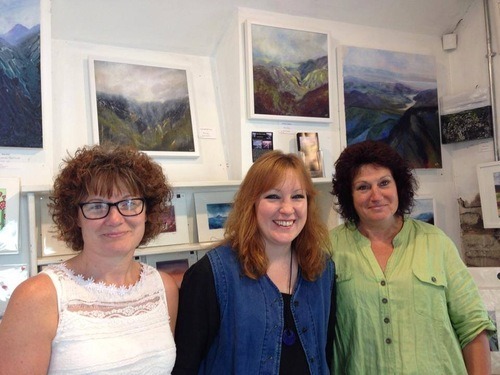 Here’s the lovely ladies with Ruth’s work displayed in the background, still taken by yours truly but with Karina’s phone this time. 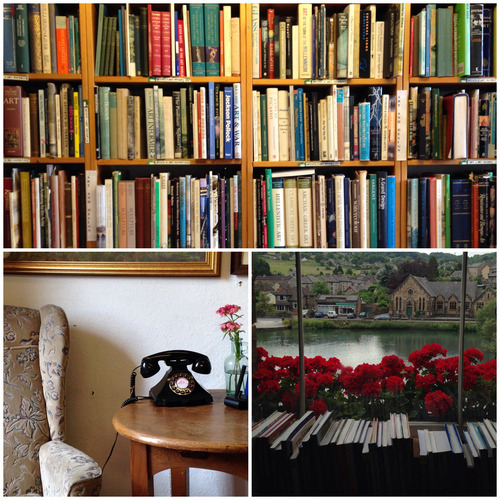 So two cups of coffee and two cookies later it was time to move on, as I then paid a visit to Scarthin Books in Cromford, a favourite of mine. I can’t go there without spending at least an hour losing myself amongst the covers, and of course I never leave without a purchase. After a quick snack it was off to my last stop of the day as I made a return visit to Middleton Top. It was intended to be a short visit, but after chatting to one of the members of staff in the Countryside Centre about orchids I realised this would not be possible. 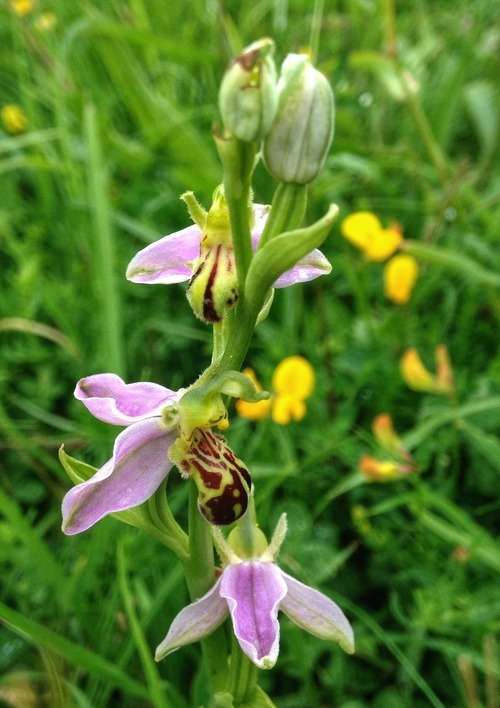 He showed me a photograph on his phone of a bee orchid, saying it was the only one that so far had been seen in Redhill Quarry. Now there’s a challenge I thought to myself, which I’m always up for of course, I needed to find this, but as you can imagine it was a bit like looking for a needle in a haystack. I was there nearly two hours, and must have looked at every single wildflower in that quarry, which included the common spotted orchid, until I eventually found it. The echoes of sheer delight on seeing it must have been heard around Wirksworth!